02 Nov 2017 --- A nutritional enhancement calculator that shows how to boost the nutritional profile of food and beverage products is to be launched by Essentia Protein Solutions. The launch will happen at Food Matters Live 2017 at the ExCeL center in London. 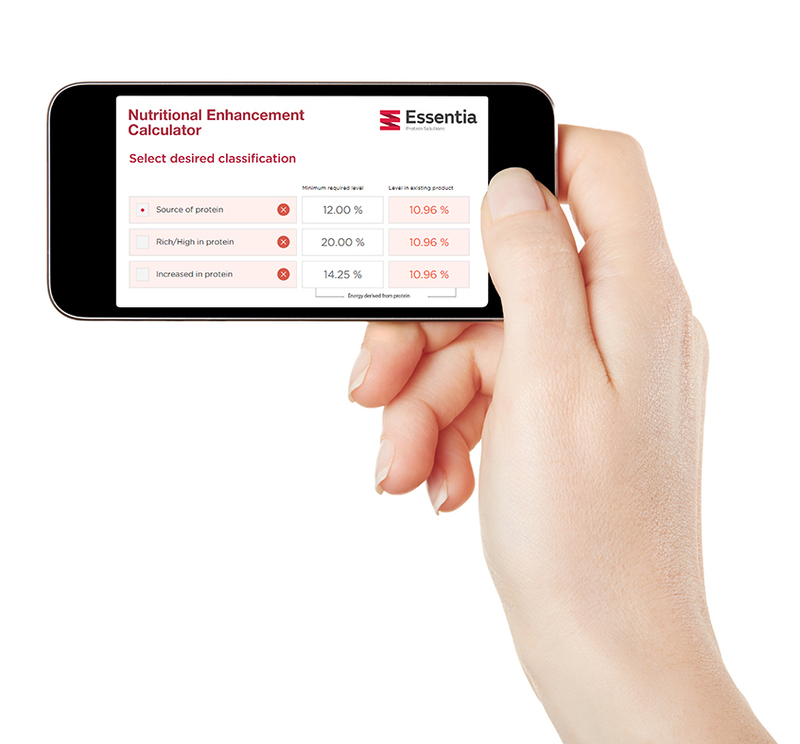 Using basic nutritional data, Essentia’s calculator informs manufacturers about what’s required to upgrade their food or drink product to a higher protein classification – according to Regulation (EC) No 1924/2006 – in terms of labeling as a source of protein, high in protein or increased in protein. 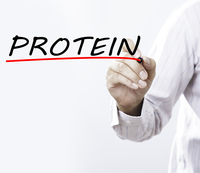 The company says that the tool provides immediate answers, letting users select between a wide range of protein solutions and calculate the additional amounts of clean-label protein needed to meet these classifications. The system also makes it easy to select the type of protein that’s the best and most cost-effective match for the product in question. “The calculator needs only basic information on the percentages of protein, carbohydrate and fat in order to inform the manufacturer if there is a protein claim to be made and what levels of Essentia’s high protein bone broth powder is needed to meet these claims, so it is a quick and easy exercise,” Cooke explains. The new software is the latest innovation from Essentia Protein Solutions in response to a growing demand from the food industry for high protein products. To this end, “Protein enrichment of everyday food” is the theme of Essentia’s stand at Food Matters Live – which takes place from November 21 to 23 – this year. The stand will feature its nutritional protein range available as beef, chicken and pork powders. Made from 100 percent natural meat-based raw materials, they offer clean label solutions for a wide range of applications – from soups, sauces, meat snacks and ready meals to protein bars, drinks and healthcare products for those seeking a nutritionally balanced diet. On the stand, Essentia’s “Tasting Bar” promises to give visitors the chance to test typical applications which can be protein enriched by Essentia’s products - instant noodles, beef jerky, beef bone broth, salami sticks, and chocolate and coffee caramel protein drinks. For food manufacturers looking to enrich protein levels in everyday products, or to meet nutritionally balanced requirements, Essentia Protein Solutions offers low-carb powders that contain from 90 to 98 percent of protein. The company points out that the products are non-functional, so their addition does not affect the finished product eating characteristics or the taste. “We want to inspire manufacturers with our taste test experience and discover the many uses of our meat-based proteins, which are perfectly suited to the huge trend in healthy meat snacks,” Cooke adds. The name Essentia tells the story of refinement and purification, turning something basic into its most valuable form. Its essence. In short, this is what we do. And we always strive to do it with perfection and precision. The products we create are based on determination and efficiency. We are driven by results - and by creating them in a proper manner. We believe in shaping the future with our partners, rather than to wait and see what happens. We are not afraid to act and think creatively and for us the only way forward is based on continuous movement. In other words: We see our role not merely as a supplier, but as a serious long term business partner filling an important role in your value chain, offering complete innovative protein solutions backed by an essential range of services. Essentia Protein Solutions offers a range of naturally derived meat-based protein solutions within the categories: 1) functional proteins, 2) stocks, flavours and fats, 3) health and nutrition solutions offer a variety of advantages on functionality, taste and nutritional value. Our range of animal protein solutions are clean label ingredients and contain no known allergens.